Michelle Madow: Free Book Friday Giveaway: Fairest by Chanda Hahn! 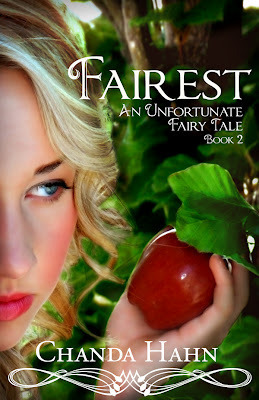 Free Book Friday Giveaway: Fairest by Chanda Hahn! This week for Free Book Friday I’m giving away a Kindle version of Fairest by Chanda Hahn! Chanda and I were on a panel together this year at UtopYA, and she’s such an amazing person and author. She inspired me so much at the conference! Good luck on the giveaway, and be sure to check out Chanda’s amazing books!